Our latest lab tests have found the best-scoring portable Bluetooth speaker since 2015. And our new reviews of speakers with equalisers include recommended sound settings from our professional listening panel – so you can enjoy the best possible sound from your speaker. Plenty of brands boast that their portable speakers will fill a room with music, and make it sound incredible. But our latest tests reveal which models can match their bigger home speaker rivals for sound quality, despite their size. We’ve found Best Buys with exceptional sound that are as small as the palm of your hand, as well as the highest-scoring speaker we’ve found in three years – and some Don’t Buys that cost more than £200. 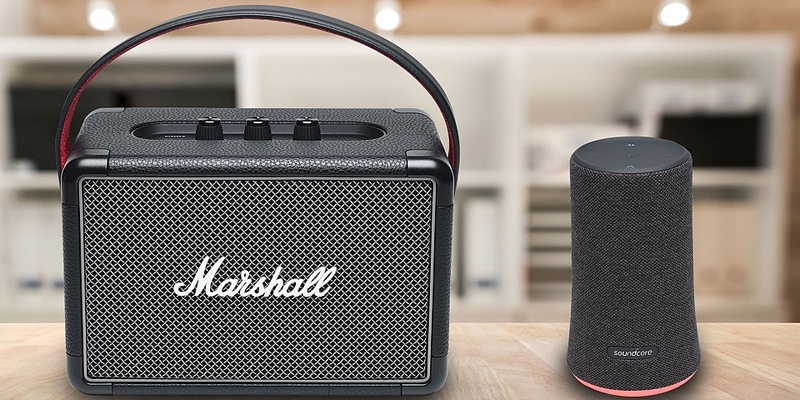 This month, we’ve tested iconic British brand Marshall’s latest wireless speakers – the portable Marshall Kilburn II (Bluetooth), which promises to be the ‘loudest speaker in its class’ and to have an impressive 20-hour battery life. And for those looking for a retro speaker, we’ve also tested Marshall’s high-end Stanmore II (Bluetooth) speaker, which has even more power. For the budget conscious, we’ve tested the Soundcore Flare from Anker, best known for its phone power banks, which are popular on Amazon. Its speaker promises full waterproofing and includes party lights that dance to your music – but we tested it to find out whether it’ll do justice to your tunes. Want to browse the full list of the best-sounding speakers currently on the market? Head straight to our Best Buy wireless and Bluetooth speakers. 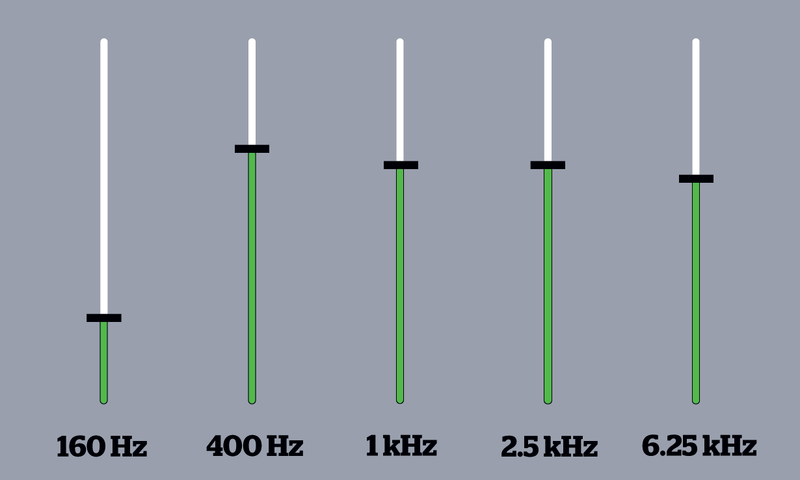 Many of the latest wireless and Bluetooth speakers come with equalisers that allow you to adjust the sound, for example by tweaking the treble and bass, or choosing tone presets. Our expert listening panel, with decades of experience between them, adjust these sound settings to make each speaker sound the best it possibly can. In our latest speaker reviews, we reveal the fine detail of the tweaks they perform to make speakers with equalisers sound even better than they do on their out-of-the-box settings. So now you can set up your speaker in exactly the same way as our professional listening panel did when assigning their scores. You can see what sound settings make the most of the latest speakers on test by clicking through to the ‘Tech specs’ tab in the following reviews. 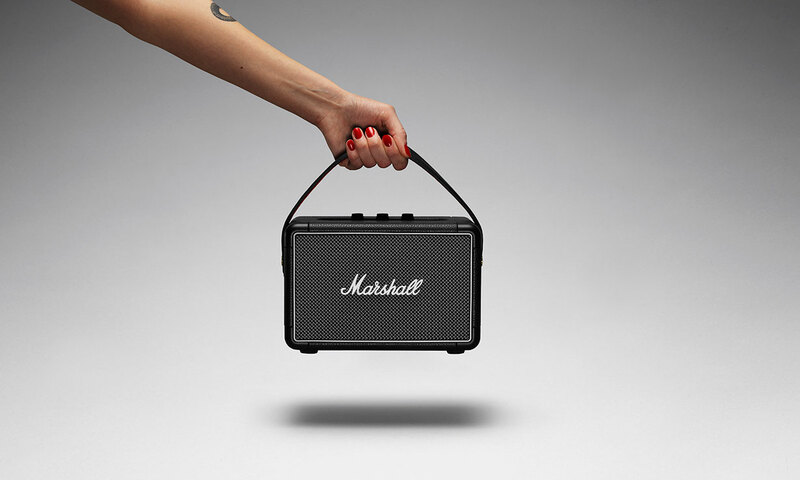 The portable Marshall Kilburn II with its convenient carry handle aims to bring the big Marshall sound of its larger speakers to a portable package. It supports the latest Bluetooth 5.0 wireless standards that claim to facilitate the most detailed sound over Bluetooth yet. There is also the option of a 3.5mm wired connection to your devices, and the speaker’s even splash-resistant. It has lovely rotary knob and button controls on the top that are easy to use, including to adjust the treble and bass to your personal tastes – find out what setting our expert panel selected in our full review. We reveal how loud the speaker actually goes, whether the claimed battery life matches up in our independent tests, and whether there’s anything else you should watch out for, in our full Marshall Kilburn II (Bluetooth) review. A comparatively new brand to wireless speakers, Anker’s Soundcore Flare aims for a ‘revolutionary audio experience’ at a tempting price. It’s a portable cylindrical Bluetooth speaker with a flared base. This houses optional party lights that dance to your music. 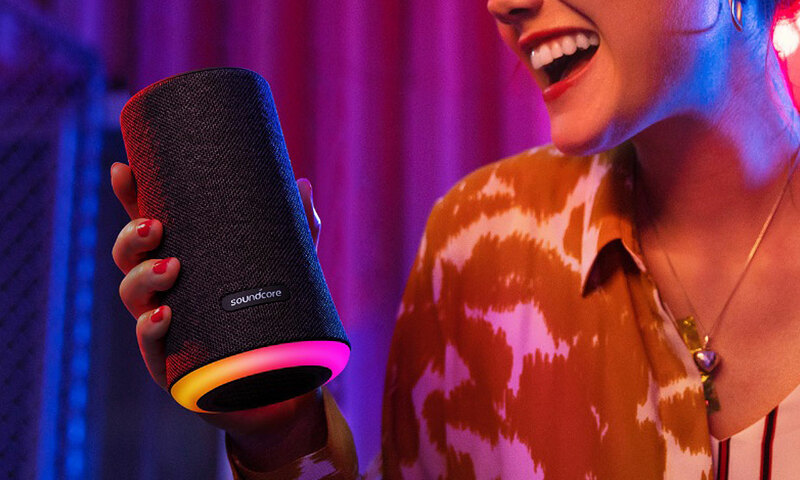 It has full IPX7 waterproofing, so you can completely submerge it in one metre of water for 30 minutes, and you can connect it to a second Soundcore Flare for stereo sound. You also have a choice of Bluetooth 4.2 or 3.5mm line in to connect to your devices. We also test the speaker’s accompanying smartphone app and how well the speaker spreads sound round the room. Is this a bargain fun speaker? Find out in our definitive Anker Soundcore Flare review. 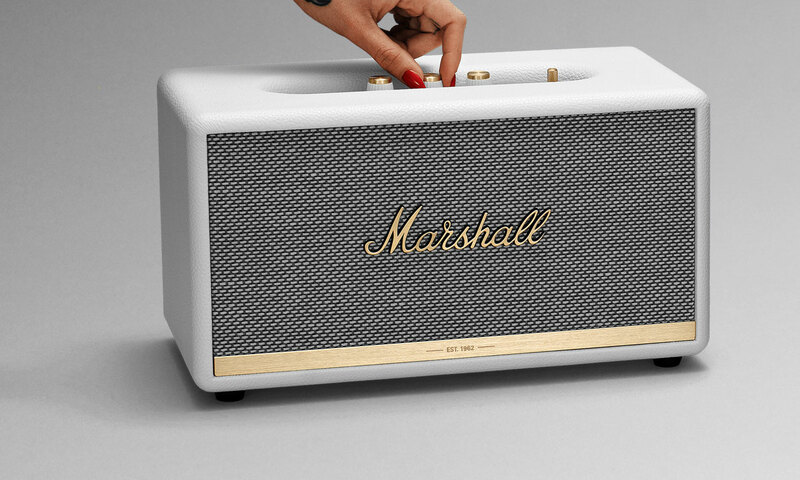 The Stanmore II promises the full-on space-filling sound the Marshall brand is known for, regardless of the size of your room. It’s sure to add a touch of retro class to any space, with exceptional build quality and high-end materials. In addition to the rotary dial controls on the speaker itself, there’s a sophisticated equaliser to adjust sound settings to your personal tastes in the accompanying Marshall Bluetooth smartphone app – discover the settings selected by our professional listening panel on the ‘Tech specs’ tab in our comprehensive review. You can also build a sound system by connecting two Stanmore II speakers together for stereo sound, and there are tone presets to switch between to instantly optimise the sound for particular genres, including rock, metal, pop, hip-hop, electronic and jazz. At £350, the Stanmore II is a serious purchase. Find out how it performs in our thorough Marshall Stanmore II (Bluetooth) review. Bose vs Sonos wireless and Bluetooth speakers: which are the best?